The Magisterial House is very proud to inform that Our Ambassador to Angola, Arch. 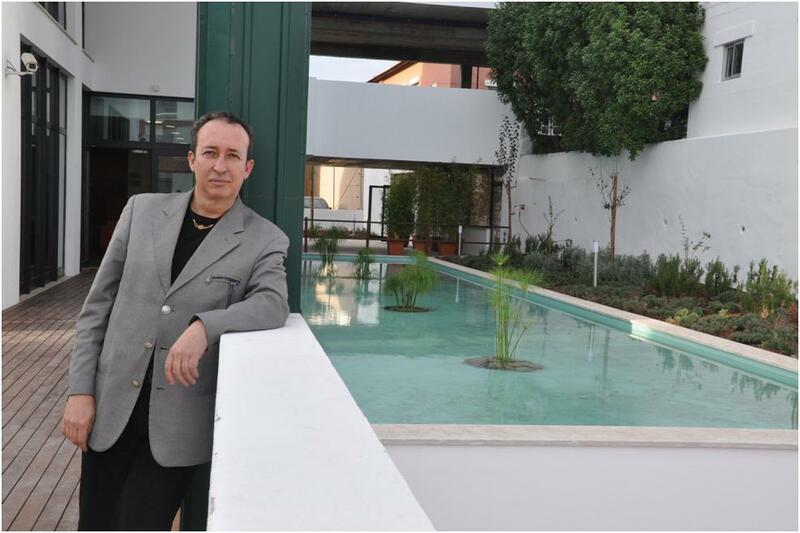 Sir Julio Quaresma, has inaugurated his project of a new Residence and Center for Senior Citizens located in Parede, Municipality of Cascais / Portugal. Besides being a well-known painter, Ambassador Sir Julio Quaresma, is an internationally famous Architect, with work done in Portugal, Angola, China, Mexico among other countries, and recently was invited by the Government of the Kingdom of Spain to be the author and manager of the project of the new Hospital in Haiti. Ambassador Quaresma has offered, as part of his humanitarian work, the project of this Residence and Center for Senior Citizen. The inauguration took place in the presence of the Mayor of the City and Council of Cascais / Portugal, Dr. António Capucho, of Lady Drª Maria Barroso Soares, ( Dame of our Sovereign Order, ex-First Lady of Portugal and wife of our Knight Sir Mario Soares ex-President of the Republic of Portugal ) and of members of the Board of the Portuguese Red Cross. For his vast humanitarian work Amb. Sir Julio Quaresma was also awarded with the Medal of Praise of the Red Cross. Copyright © 2007 Sovereign Order of Saint John of Jerusalem Knights of Malta Federation of Autonomous Priories. All rights reserved.